I need to continue using Windows XP. I don't want to upgrade to Windows 7, 8, or 10. I know Microsoft has abandoned Windows XP, but is there anything I can do so that I can continue using it? It's funny we've been moving people for the last few years away from windows XP. towards Windows 7 or 10. I think Windows 8 is a bad choice at this moment but in any case. There are reasons to stay on Windows XP, especially if you have an application that will only run on Windows XP. And there are some out there. At this point. Microsoft has pretty much abandoned Windows XP and won't be providing updates but we did find a useful article online which points at some things you can do that will make Windows XP be acceptable for the near future. This includes tricks like making your registry setup correctly deleting applications that may have problems and keeping track of updates manually in any case we don't recommend it we really think moving to Windows 10 is a good idea but if you just can't, there are ways to do it. I need to rip some DVDs to files so I can watch them on my tablet without an internet connection. What tool do you suggest I use to create the video files? Although I'm probably as guilty as you are about creating copies of D.V.D. 's for my own personal use. I'm not a lawyer and I don't play one on T.V. and I do not know what the legal issues are involved in this case. Just be aware that you may or may be breaking the law when you make a copy of a D.V.D. I have no idea but I certainly do it. The tool I use on my Mac is called Make MKV that is the letters. M K V. Make M.K.V is an application that runs on both Macs and P.C. 's and it takes a D.V.D. and takes each of the chapters or files on that D.V.D. and converts them into a format that you can play on a tablet or laptop. I find it very easy to use it's free and although there are many many options for doing this it's my tool of choice. There are also other options you can look at on Windows or Macs but again, make MKV is currently free, easy to use and I highly recommend it. Given the video files that this program creates you'll need to move them to your device, your tablet, your phone, or your laptop and then find an application that can play the video files. A very common use for playing video files is the application called V L C which plays videos of almost any kind on almost any device - give it a check. I most often use the speaker on my iPhone during the day, and for every call I make or receive, I have to press the little speaker icon. Is there some way to make my phone automatically route calls to the speaker, so I can bypass fiddling with that button every time? This is a common problem when I'm driving I want all my calls routed to the speaker phone. When Doug is running around town he uses his bluetooth headset it would like all calls to come in and go out from his bluetooth headset. It's easy to make this change but you have to know where to look. It's not obvious on your iPhone. Go to your settings application, choose general then find, accessibility in the accessibility settings. Scroll down till you find the call audio routing option, select that and then you can choose automatic which is the default Bluetooth headset or speaker. Once you've made that choice all incoming and outgoing calls including Face Time calls will use that selected audio device. When you're done you can set it back to automatic and then it will use the default options on the phone instead. This is a quick easy way to select the default incoming and outgoing audio device. So you don't have to tap your phone one extra time to make or receive a call. I recently added a few new apps to my Android phone, and all of a sudden, my data usage has skyrocketed. I didn’t expect these applications to consume any data at all, but clearly, one or more of these apps is doing something I’m not aware of. What’s up? How can this happen? Although I'm intrigued by Android phone and some of them are awfully slick looking and certainly their price is better than other devices. I must say that, well I told you so. You can say what you like about Apple's applications and its phones but at least their applications are curated. You go to the App Store on an Apple device and download an application you can be pretty sure that someone at Apple has looked at the application has verify that it doesn't do nasty things to your phone. That cannot be said for Android applications which can come from any source. You can load them from any place at all and anyone could have written them and anyone could have added code to that application to do nasty things to your phone. Although the applications have to request your permission to use various bits of hardware in the device for example an application has to get your permission to use the microphone, the G.P.S., your contacts, and so on. Most people just blindly give that permission and once you give that permission you have no control over what the application does. And what applications are known for being somewhat, what's the word spiky, and you really can't be sure what it's going to do with your device. We have a link to an article on our website which lists ten of the worst Android applications that are most popular right now that is "Things You Should NEVER install". You can use that list to help decide whether or not you should install an Android application but beware any Android application can use whatever data it once once you give it that permission. I'm using Safari on the Mac, and would love to be able to store downloaded files in a folder that I have created, not the default Downloads folder. How can I change the built-in behavior, so I can indicate the folder where I want to save downloads? I completely get this question because when I download things I like to store them often in my Dropbox folder so I have them all for later use. It's easy to make this change in Safari all you have to do is go to the preferences menu in the upper left hand corner, choose the general preferences and from there you can select the downloads folder. You can choose any existing folder or you can create a new folder into which to place your downloaded files. By default they go into your Downloads folder which is a perfectly reasonable place to put them. But if you want to place download somewhere else you have that control. He should be able to do this with almost any browser. Just look to the preferences for a place where you can specify the download folder. We often talk about using the cloud for data and storage and I wonder if some people understand what we are talking about. Can you take a moment and explain what we mean when we talk about the cloud? A big white puffy... Oh you mean the computer related cloud? The first thing you should understand about the cloud is that it is not a physical thing. The cloud is a network of servers, and each server has a different function. Some servers use computing power to run applications or "deliver a service." Some store data. Some provide deliver information. Chances are, you encounter the cloud daily. From Google Drive to OneDrive to iCloud to Evernote, any time you store information without using up your phone's or computers internal data, you're storing information on the cloud. Here are two more quick tips. # 1. If you don't want the File Explorer to open at the Quick Access folders, all you have to do is - Open File Explorer, View, Options, Select Change folder search options, on General Tab select This PC from the Open File Explorer t: pull down. # 2 If you want to charge your iPhone faster? Turn on Airplane Mode. This turns off many radio functions like Bluetooth and allows your iPhone to charge much faster. I upgraded from Windows 7 to Windows 10. I am running out of space. How can I recover space? 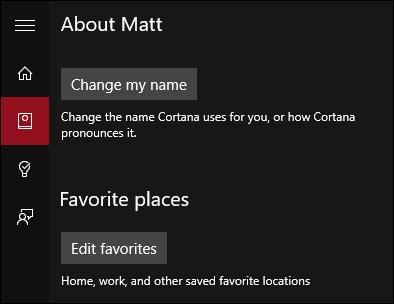 There are a number of ways you can recover the space after you upgrade to Windows 10. But this is the recommended way. 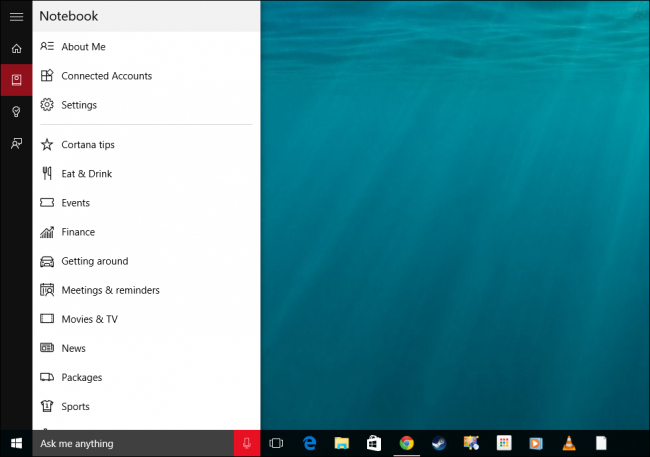 Before you release any files to recover space make sure you want to stay on Windows 10. Some files you delete will preclude you from going back to the previous Windows release. And then the Clean Up System button. Select the Previous Windows System Installations. You can select some other options. And Finally Yes to compete the function. This should make available about 10GB of space. I often need to select multiple files in a folder I always have difficulty hold down the CTRL key with one hand and then operating the mouse to select the files I want. Is there another way I can do this? Ken these are some old school questions. This goes back to Windows 7 and even XP. But the solution is available in all versions. I like the check box option to select multiple files. Go to Folder Options, the View tab, and look for the Use Check Boxes to select items. This will allow you to select the check box next to the file giving you a very easy way to select multiple items. It is easier and much clearer on what you have selected. And you don't need to have both hands co-ordinate the movements. We know how difficult this can be for you. I'm running Windows 10 on a laptop and I don't have much real estate on my monitor. I would love to be able to move those applications off the edges and still have them available when I need them. Is there some way to make that happen? Have you noticed that icon that looks like two panels, one over the other on the left side of your Windows 10 task bar? Well this allows you to set up what they call virtual desktops. Simply click on the icon and you will see two desktop images on the bottom of your screen and above you will see the images of all of the applications on that desktop. To the right of the current desktop icon will be another desktop icon. If you click on that icon all the images of the applications on that desktop will be seen. Initially of course there will be no applications. Click back on the desktop 1 icon and then drag an application from that desktop on top of the desktop 2 image. That application will now be seen only when you chose desktop 2. You can create effectively any number of desktops and drag the applications from one to another. I suggest giving the virtual desktop feature a try and see how you can arrange your workspace on a limited size monitor. Every night, when I'm done with my computer, I shut it down completely. The next day, when I start it up, it takes a good long while. And sometimes, when I shut it down at night, it takes forever to shut down because Windows wants to apply updates right then. I've heard about sleep and hibernate, but they confuse me, so I don't use them. Should I use one of those features rather than shutting down completely? Certainly shutting down your computer when you're done with it for the day does save a little bit of power over your computer's using no power while it shut down. On the other hand starting it backup can take some time. We tend to use either sleep or sometimes called suspend mode or hibernate to save time when shutting down and starting back up. The differences are pretty substantial. Hibernate takes an image of the memory of your computer and saves it to a file on your hard drive then when the computer starts back up, it takes that information and loads it right back up into memory. So you start up exactly where you left off. Using hibernate mode takes up as much space on your hard drive as you have memory in your computer. So if your computer has for example eight gigabytes of memory. You'll find that hibernate mode takes up eight gigabytes of space on your hard drive which you may not have to spare. In addition using hibernate mode your computer is completely turned off. It just loads that file from the hard drive when it starts up the next time so really don't save a whole lot of time at startup. Sleep mode on the other hand does save you time. It leaves the computer in a low power mode and preserves the state of your applications you are running. If you put your computer to sleep and then wake it from sleep, this can happen very quickly. It does take a tiny bit of power but I think it's worth it because you don't need to take the time to restart your computer the next day. Take a look at sleep and suspend mode on both Mac and Windows computers. It may save you some time and effort. I use Netflix often, and find it very enjoyable except when it spends most of its time buffering. There are some days when my internet connection works fine, and others when it seems awfully slow. Is there some way for me to determine my current connection speed, so I can determine whether or not it's a good time to watch Netflix? It's true some days Netflix works great. Other days it doesn't work as well in the rural community where I happen to live I share my bandwith with a lot of other people and if everyone's watching Netflix at the same time things aren't going well in our house. I have a couple of websites I use for testing download speed one of them was SpeedTest.net. I used it for a longtime but it uses Flash and so it's not compatible with my I.O. 's devices and to be honest I don't like having Flash enabled on my computers. I found a few others they work really great. First of all Netflix itself has created a new website fast.com I don't even want to think what they had to pay to get that domain name but in any case it's a very quick and easy way for you to determine if Netflix is going to work well if you want more information. I found another great one at SourceForge.net/speedtest this site gives you a whole lot of information including whether your current network speed will work for things like Skype or voice over IP. In addition to Netflix and other audio streaming check out one of those if you want to determine how well your band with matches what your I.S.P. says you should be getting. That's fast.com or SourceForge.net/speedtest. I use a Mac, and find that I sometimes need to resize a bunch of images for my work. In the past, I loaded each image, one at a time, and saved a resized version. Is there some easy way to resize them all at once? This problem can crop up if you're trying to create a website for example where you need to downsize the size of your images that you're placing on the website. Certainly you can do these one at a time or look for an application which handles batch resizing. I think I paid for one at one point and I probably used it once or twice but it turns out there's a free and easy way to do this on the Mac. The application named Preview is one that we often overlook thinking it's just for looking at P.D.F. files but it's not Preview is also a great application for editing and viewing images. If you select a number of images at once in Finder right click and open those images in Preview, you can then resize all of the selected images at once and save them back to your hard drive in a new size. You might want to make them all have a width of six hundred forty pixels for example or something like that and Preview can do this for you, So rather than looking for an application that can do batch resizing make use of one you have on your Mac and it's free. Take a look at Preview for working with multiple images concurrently.